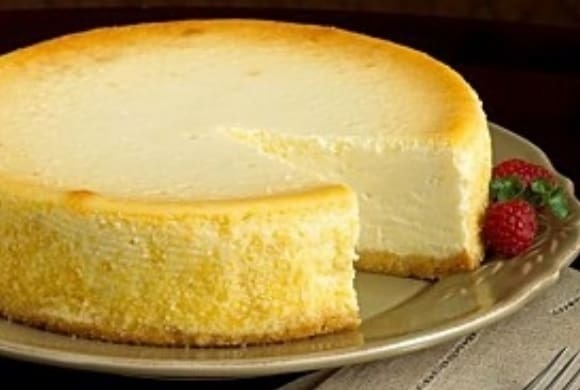 This is smooth and creamy baked cheesecake recipe filled with rich cream cheese and baked to perfection. This recipe will get non-stop compliments and satisfied smiles. 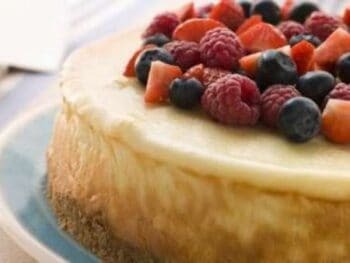 Cheesecake is one of life’s great rewards, this one is no exception. 1. 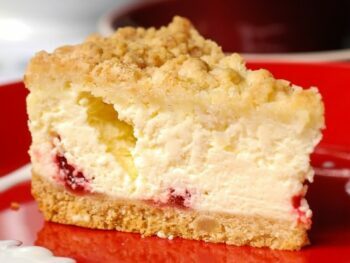 Combine graham cracker crumbs and butter, press into buttered 8 inch pie plate to form crust on bottom and sides. 2. In a mixing bowl, beat cream cheese until fluffy. Gradually add in lemon juice, 1/2 cup sugar, milk, salt and vanilla. 3. Add eggs, 1 at a time, mixing well after each addition. Pour filling into crust. 4. Bake at 325 degrees F for 25 to 30 minutes or until set. 5. 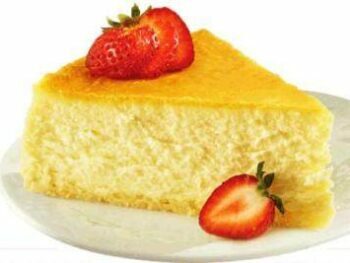 Combine the 2 tablespoons of sugar, sour cream, and 1/2 teaspoon of vanilla; spread over top of cheesecake then bake for 10 minutes longer. Chill for 5 hours or more before serving.